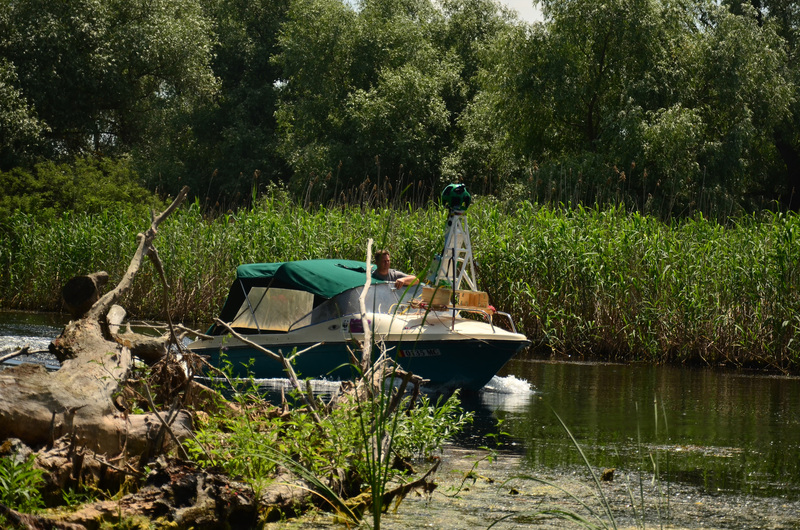 WWF Romania joins forces with Google to put the Danube Delta on the digital map of the world, visited by more than one billion people every day. 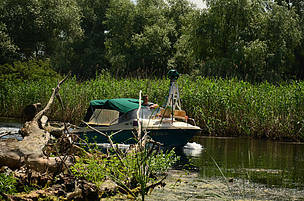 The Street View capture process began a month ago with the WWF team navigating the Sulina and Sfantu Gheorghe branches. The images will be available online in autumn on Google Maps after being processed by Google specialists. #Connect2DanubeDelta: Why is the Danube Delta important? The Danube Delta, an internationally protected UNESCO World Heritage site and the world’s largest area of compact reeds in Europe, is home to over 5000 animal and plant species. It is also home to over 300 bird species or 85% of the country’s total, including the largest pelican colony. The Danube Delta is also known for its sturgeons, the world's largest freshwater fish. These remarkable fish have survived the age of the dinosaurs but today teeter on the brink of extinction. Starting in the 1970s, however, the biodiversity of the area has fallen due to the expansion of farmland, fish farms and excessive reed processing. We live in a world of technology, a world of connectivity and hashtags, but at the same time, when it comes to the environment, it's hard to make the connection between why nature matters to us on a daily basis. The Danube Delta is a biodiversity hotspot, a complicated term at first glance, but a very familiar concept when examined more carefully. Born from the phrase "biological diversity," the term refers to the variety of life on Earth, in all its forms and with all its interactions: genetic diversity, countless species, communities, ecosystems - like the Danube Delta - where life interferes with the physical environment. These interactions have made the Earth livable for people. Everything we see around us, from forests, deltas, rivers, all ecosystems that provide us with resources for our lives, all this is, in fact, biodiversity. The fact that we have breathable air and drinking water, food and recreation, is due to biodiversity. The biggest threat to biodiversity comes from the combined impact of habitat loss and degradation as a result of human activity – that is why researchers call the current period the “Anthropocene”. If the current trend continues, by 2020 wildlife populations could reach a 67% decline compared to the ones in 1970 as a result of human activities. In addition, the populations of freshwater species suffer the most, the decline being in this case 81%, more than double than theloss for land and marine species. With biodiversity, with freshwater ecosystems, we also lose essential environmental services: flood protection, drinking water, wood, biomass, tourism and recreation opportunities, fish and other food sources. But we can also protect nature, through simple, repeated, daily gestures. It means choosing local and seasonal products, supporting sustainable products developed by locals. When traveling, it means being responsible tourists who take pictures of wildlife but leave nature untouched. Perhaps the most important thing is to be informed and act when we see that the laws protecting nature, such as the Water Framework Directive and the Habitats Directive, are in danger. Only together and through repeated gestures day by day we can protect nature.